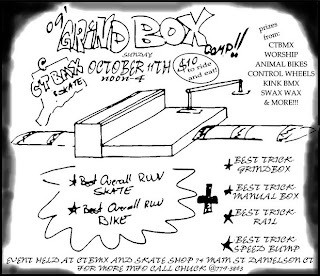 Chuck and his crew from CT BMX are holding a box competition in a few weeks. I suggest you head down, shred the gnar, and support the shop. Good times are guaranteed with that crew! T and I will be making our way back from Rhode Island that day and plan on stopping in to check out the madness.